Welcome to Samsungctc.com. We’re happy to do business with you, but first, read our Terms and Conditions carefully and all further linked information to understand our policies and procedures. This document represents our Terms and Conditions, which govern your membership on and use of Samsungctc.com, the “Site,” and your purchasing and use of products through the Site. By accepting these terms and conditions (including the linked information herein), and by using the Site, you consent to follow and be bound by these conditions. This agreement is effective upon acceptance. If you do not accept to follow these Terms and Conditions, please do not access, register with, or use this Site. All members on Samsungctc.com should be able to form legally binding contracts. Therefore, by using the Site and accepting our Terms and Conditions, you acknowledge that you are at least 18 years of age before you became a member of the Site. We reserve the right to limit or withdraw access to the Site for any member should Samsungctc.com believe that member to be under the age of 18 years. The Site is not available to persons whose membership has been suspended or withdrawn by Samsungctc.com. If you are registering as a business/corporate entity, you acknowledge that you have the authority to bind that entity by these Terms and Conditions and that you and the business/corporate entity will comply with all applicable laws relating to online trading. No person or business entity may register as a member of the Site more than once. • Avoid including: (1) any of your contact details, such as your email addresses, telephone numbers, or any other personal details; and (2) the word “Samsung CTC” in your registration user ID. • Regularly update the registration data to keep it true, accurate, up-to-date, and complete. If you provide any information that is false, inaccurate, not current or incomplete or if Samsungctc.com believes that such information is false, inaccurate, not current or incomplete, or not in accordance with these Terms and Conditions, Samsungctc.com reserves the right to suspend, limit or withdraw your access to the Site and/or your membership of the Site. Samsungctc.com may, in its sole discretion and at any time, make any inquiries it considers necessary (whether directly or through a third party), and request that you provide it with further information or documentation, including without limitation to verify your identity and/or ownership of your financial instruments. Without limiting the foregoing, if you are a business entity or registered on behalf of a business entity such information or documentation may include your trade license, other incorporation documents and/or documentation showing any person’s authority to act on your behalf. You agree to provide any information and/or documentation to Samsungctc.com upon such requests. You acknowledge and agree that if you do not, Samsungctc.com, may, without liability, limit, suspend or withdraw your access to the Site and/or your membership of the Site. We also reserve the right to cancel unconfirmed/unverified accounts or accounts that have been inactive for a long time. • Never engage in false or fraudulent activity in connection with the use of the Site. You acknowledge and consent that Samsungctc.com may suspend, limit or withdraw your access to the Site and/or your membership of the Site if you are found to have engaged in false or fraudulent activity in connection with the use of the Site. • Never transfer your Site account (including feedback) and username to another party without our explicit consent. By submitting content to samsungctc.com you automatically consent to granting samsungctc.com an irrevocable, worldwide, royalty free license to use, publish, display, modify, distribute and syndicate your content worldwide. Samsungctc.com does not claim any ownership of your content but we have your permission to use it for the purpose of operating and promoting the Site. You confirm and warrant that you have the requisite authority to grant the above license to samsungctc.com. • Harm our systems. You agree not to interfere with or try to disrupt the Site or the interests or property of the Site’s users by doing activities such as, but not limited to, distributing a virus or other harmful computer code, unsolicited or bulk electronic communications, chain letters, and pyramid schemes. When you use Samsungctc.com, you consent to receive communications from us electronically, including, but not limited to, emails, texts messages and messages on and through the Site. You can retain copies of these communications for your records and you agree that all legal documents and communication that we provide to you electronically satisfy any legal requirement that such communications be in writing. Samsungctc.com will ask for your agreement during the registration process to send you promotional emails that let you know about new changes, features, or promotions on the Site. If at any time you decide you do not wish to receive such promotional emails, you can opt out of receiving such emails by clicking on the link at the bottom of any promotional email sent by us. 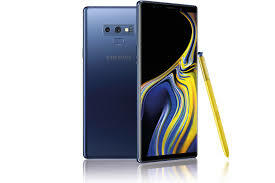 Samsungctc.com offers buyers the option to pay for items on the Site either online or through Cash on Delivery (“COD”) or any other payment methods made available on the Site at the time of posting these Terms. All content posted on the Site, including but not limited to text, graphics, logos, button icons, images, audio clips, digital downloads, data compilations and software, is the property of Samsungctc.com and is protected by copyright, trademarks, patents or other intellectual property rights and laws. The compilation of the content on the Site is the exclusive property and copyright of Samsungctc.com and is protected by copyright, trademarks, patents or other intellectual property rights and laws. The name Samsung CTC and the other Samsung CTC phrases, logos, and related designs that we use in connection with our services are either registered or unregistered trademarks of Samsungctc.com and are protected by international trademark and other intellectual property rights and laws. Samsungctc.com’s trademarks may not be used in connection with any product or service that is not owned by Samsungctc.com or in any manner that may harm Samsungctc.com. 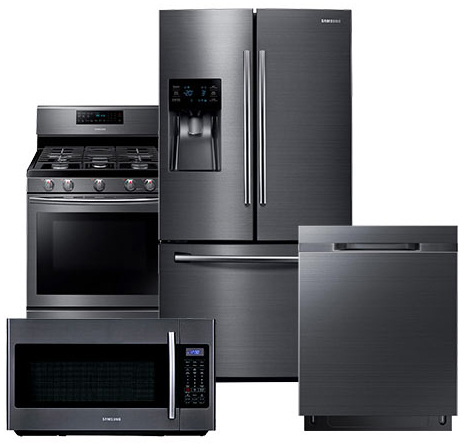 If a buyer has purchased an item through Samsungctc.com and never received it or received an item worth significantly less in value compared to what was described by the seller, the buyer will be reimbursed by Samsungctc.com the value of the item only. 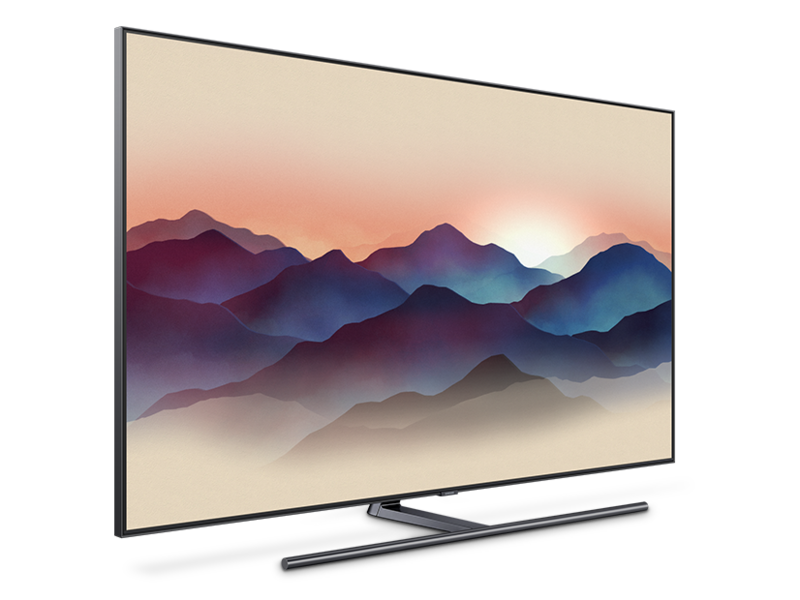 To be eligible for a buyer protection, the buyer needs to file a complaint with Samsungctc.com within three days of the initial date of delivery if the item hasn’t been received, or within three days from the effective receiving date of the relevant item. Samsungctc.com will investigate the matter and if it has been determined (in its sole discretion) that the seller has intentionally defrauded the buyer in relation to the item for which Samsungctc.com has reimbursed the buyer, Samsungctc.com may limit, suspend or withdraw the seller’s access to the Site and/or the seller’s membership and Samsungctc.com will charge the seller for Samsungctc.com’s costs in reimbursing the buyer and for any handling and shipping. Samsungctc.com reserves the right to take such further steps as it considers necessary, including, but not limited to, legal action. You acknowledge and agree that if any item returned to Samsungctc.com by a buyer is fraudulent or unlawful, then Samsungctc.com may in its sole discretion destroy the item or take any other steps as it considers necessary. In case the product received was a gift from another Samsung CTC user, the gift receiver can request the return of such gift within 3 days of receiving it by contacting Samsungctc.com on Samsung CTC’s contact details mentioned on the delivery receipt. If the return is accepted based on the return conditions mentioned below, the amount will be credited to the Samsung account of the gift receiver. If the gift receiver doesn’t have a Samsung CTC account, they will need to create one. The amount cannot be claimed in cash nor credited to a card. Gift cards can’t be returned nor can be used to purchase other gift cards on Samsunctc.com. In the event you have settled by card, the price of the purchased item(s) and wish to issue a return order within 3 days of receiving the item(s), the price of such returned item(s) shall be returned to your bank account provided that the request claim is approved. However, bear in mind that the amount may take time to reflect in your card statement, depending on your card provider. In the event you have settled by cash the price of the purchased item(s) and wish to issue a return order within 3 days of receiving the item(s), the price of such returned item(s) excluding the delivery fees shall be credited to your wallet on your Samsung CTC account within a period of one (1) week from the collection date and subject to the compliance of the returned item to the return conditions. You shall have a period of one week starting the return collection date during which you can, either use the amount to execute other purchase(s) on the Site, or request for its refund. In such case, Samsung CTC shall reimburse within a period of two (2) weeks following your request the said amount to you at the end of the above-mentioned period and in cash. The cash amount shall be collected from Samsung CTC offices exclusively. • Gift Card is redeemable towards items sold on Samsungctc.com exclusively. • In order to use the gift card, you must have or create a free Samsung CTC account. • Gift cards are valid for 12 months from date of receipt. • If your total order is less than the value of the Gift Card, the remaining amount will remain in your gift card balance to be used in following purchases. • Gift Cards may not be returned, refunded, redeemed for cash nor used to purchase other Gift Cards. • Samsung CTC shall not bear any liability in case the Gift Card has been lost, stolen, destroyed or used by third parties without permission of the card owner. • Samsung CTC reserves the right to void and cancel Gift Cards if a Gift Card is suspected to be obtained, used, or applied to a Samsung CTC account fraudulently, unlawfully, or otherwise in violation of these terms and conditions. • The Gift Card holder shall not have the right to claim at any circumstances, and for any reason whatsoever, any indemnity, whether moral or material, from Samsung CTC SAL or any sister company, related to the Gift Card. In the event your order has not yet been delivered and you wish to cancel items in your order, a cancelation will be granted if the items have not yet been assigned to our drivers. To proceed with canceling the order, click the “Cancel” button for the specific items you wish to cancel complete the cancelation process on your order details page. In this case, you will receive a full refund along with any shipping fees applied and will not be penalized. Refund will be implemented depending on the policy for the payment method applied. In case your order has not yet been delivered but the delivery has been assigned to our drivers, the “Cancel” button will be deactivated and you will only be able to access the “Return” button. In this case the regular return policy would apply. • Return requests should be made within 3 (three) days from receiving the item. • Item should be in the same condition you received it. If you use or damage it, it can no longer be returned. In case you ordered a product and requested a return and the product was found to be damaged, you will bear all delivery and return fees associated with this product. • If the defective product can be covered under the manufacturer’s warranty, then the item cannot be refunded. Instead, you can arrange to get the item fixed or replaced. • The item should not be tampered with and should not have missing serial numbers, otherwise it will no longer be qualified for a refund. Make sure the package has no missing items, including price tags, labels, original packing, freebies, and accessories. • The original package of any item should not be opened and should remain sealed. Samsungctc.com has the right to process as it deems appropriate any items returned from the buyers, after a period of 30 days from the return date provided that the customer has been notified of the status of the return and in the event that the customer did not accept to receive the returned items. By agreeing to these Terms and conditions, you explicitly authorize Samsung CTC to dispose of and/or liquidate any undesired items without any objection and any liability to Samsung CTC. • Samsung CTC shall not bear any liability in case the Code has been lost, stolen, destroyed or used by third party without permission of the Coupon owner. • Samsung CTC reserves the right to void and cancel the Coupon if it is suspected to be obtained, used, or applied to a Samsung CTC account fraudulently, unlawfully, or otherwise in violation of these terms and conditions. • The Coupon’s holder shall not have the right to claim at any circumstances, and for any reason whatsoever, any indemnity, whether moral or material, from Samsung CTC SAL or any sister company, related to the Coupon Code. • Samsungctc.com is not responsible for any non-performance or breach of any contract entered into between users and does not transfer legal ownership of items from the seller to the buyer. The contract for sale of any item shall be a strictly bipartite contract between the seller and the buyer. At no time shall any right, title or interest over any item vest with Samsungctc.com nor shall Samsungctc.com have any obligations or liabilities in respect of such item or the contract between the buyer and seller. • Samsung CTC is not required to resolve any dispute or disagreement between users. • Samsungctc.com accepts no liability for any errors or omissions, whether on behalf of itself or third parties. • Samsungctc.com excludes all implied warranties, terms and conditions and is not liable for any loss of money, goodwill or reputation, or any special, indirect or consequential damages arising directly or indirectly, out of your use of or your inability to use the Site. • You release and indemnify Samsungctc.com and/or any of its officers and representatives in respect of any claim, demand, dispute, cost, damage, liability or other consequence (direct or indirect) of any of the actions of the users of the Site and you specifically waive any claims that you may have in this respect under any applicable law. In order for you to buy items on Samsungctc.com, you will have to register on the Site by creating a user account which requires you to submit certain personally identifiable information. Personally identifiable information may include, but are not limited to, your name, shipping address, email address, telephone number, date of birth, and other similar identifiable information. Additionally, in order for us to verify your identity, we may require you to provide us with a valid proof of identification in the form of a copy of your passport, resident’s visa or permit, national ID, driver’s license, or others. We will also ask you to fill your credit card and/or bank account details in the “My Account” section of the Site, which we would require for billing purposes and to fulfill your orders. After you complete your registration on the Site, you should not post any personal or financial information anywhere on the Site other than on the My Account section of the Site. Restricting the posting of personal information to the My Account section of the Site protects you from fraud or identity theft. We will collect transactional information based on your buying activities using the Site. The transactional information we collect is used solely in relation to the transactions you undertake on the Site and for no other reasons. We may use your Internet protocol (or IP) address to analyze user trends and improve the administration of the Site. We may also collect information on the way you use your device to browse the Site, such as the browser type you use to access the Site, your navigation on the Site, your time spent on the Site, and other similar information. In addition to the information listed above, we may collect other information from or about you in other ways not specifically described here. For example, we may collect information related to your contact with our customer support team or store results when you respond to a survey. We may also collect feedback ratings and other comments relating to your use of the Site. When we aggregate personal information for statistical purposes, such aggregated personal information shall be anonymous. 7. To verify the information you provide us with third parties. For example, we may share some of the personal information you give us with banks or credit card authorization, processing and verification services or with third parties for fraud screening purposes. However, all comments that you publically post about the Site may be used by us for marketing purposes. Therefore, by posting comments, you expressly agree to our using such comments for marketing purposes. Additionally, information relating to items you are buying may be displayed on the Site. This information can include details of your user ID, feedback ratings, and comments relating to your use of the Site. Otherwise, we will only disclose your personal information to a third party with your express permission. 7. In the event of a sale of Samsungctc.com, your personal data may be disclosed to any potential purchaser for the purposes of the continued provision of the Site or otherwise in relation to any such sale. By registering and creating an account on the Site, you expressly consent to receiving emails from Samsungctc.com. If, at any time, you decide you do not wish to receive emails from us, you can unsubscribe from our mailing list by clicking on the link at the bottom of any of the emails or by going to the My Account section of the Site. As a user of the Site, you should respect, at all times, the privacy of other Site members. By using the Site, you agree to use any personal information received from another Site member in relation to a transaction on the Site solely in relation to such transaction and shall not use the information received from another Site member for any other purposes except with the express consent of the other Site member. You also agree to use personal information received from another Site member in accordance with the law at all times. If you are a registered user at Samsungctc.com, you can access and change your personal information at any time by logging into the My Account section of the Site. Please note that we shall retain your personal information during and following the end of your use of the Site as required to comply with law, for technical troubleshooting requirements, to prevent fraud, to assist in any legal investigations, and to take any other actions otherwise permitted by law. You may not use the Site to send spam or otherwise send content that would violate our Terms and Conditions. We automatically scan and may manually filter messages to check for spam, viruses, phishing attacks, and other malicious or illegal content. We hold your Personal Data on servers located in Lebanon. We take every precaution and encrypt all your Personal Data to safeguard your personal information from unauthorized access, use, or disclosure. By registering and creating an account on the Site, you consent to the transfer of your Personal Data to, and its storage on, our servers located in Lebanon. To access your account or make a transaction on the Site, you must enter your username and password. Choose your password carefully using a combination of numbers, special characters, and lower-case and upper-case letters. Remember to change your password frequently and be careful not to share your username and password with anyone. If you are concerned that your password has been compromised, change your password immediately by logging to the My Account section of the Site. In connection with your use of the Site, you will not breach these Terms & Conditions. If you do, Samsungctc.com may immediately and without liability limit your activity, terminate your membership on the Site indefinitely or temporarily, end your listings, and/or warn other users of your actions. Samsungctc.com may at any time and in its sole discretion reinstate suspended users. A user that has been indefinitely suspended or had their membership withdrawn may not register or attempt to register with Samsungctc.com or use the Site in any manner whatsoever until such time that such user is reinstated by Samsungctc.com. Notwithstanding the foregoing, if you breach these Terms & Conditions Samsungctc.com reserves the right to recover any amounts due and owing by you to Samsungctc.com or any losses and damages caused by you to Samsungctc.com and to take such steps, including legal action and/or the initiation of criminal proceedings against you, as Samsungctc.com in its sole discretion deems necessary. Users on the Site can provide feedback on each other’s conduct after a transaction has closed. Your feedback will be displayed along with your user ID on the Site. You cannot withdraw the feedback once you have posted it on the Site. Samsungctc.com will not be liable for the feedback that you post on the Site. If you continuously receive negative feedback ratings, Samsungctc.com reserves the right to suspend, limit or withdraw your access to the Site and/or your membership of the Site. You acknowledge and agree that you shall not market or export your Samsungctc.com feedback rating to any third party other than on the Site. Samsungctc.com may limit, suspend or withdraw your membership and / or your access to the Site at any time, without notice, for any reason, including, but not limited to, breach of this User Agreement. All information, content, materials, products, and services included on or otherwise made available to you through the Site are provided by Samsungctc.com on an “as is” and “as available” basis, unless otherwise stated in writing. Samsungctc.com makes no representation, endorsements, or warranties of any kind, express or implied, as to the accuracy, reliability, or completeness of any content on the Site or the operation of the Site or the information, content, materials, products, and services included on or otherwise made available through the site unless otherwise specified in writing. You expressly agree that your use of the Site is at your own risk and that Samsungctc.com has no obligation to offer support for the Site. You acknowledge and agree that you are fully responsible for your use of the Site. You acknowledge and agree that any information you send or receive during your membership and/or use of the site may not be secure and may be intercepted by unauthorized parties. You acknowledge and agree that your use of the site is at your sole risk and that the site is made available to you at no charge. Recognizing such, you acknowledge and agree that, to the fullest extent permitted by applicable law (including, without limitation, consumer protection law), Samsungctc.com will not be liable for any direct, indirect, punitive, exemplary, incidental, special, consequential or other damages arising out of or in any way related to (a) this Site, or any other Site or resource you access through a link from this Site; (b) any action we take or fail to take as a result of communications you send to us; (c) your Samsungctc.com membership, any termination or cancelation of your membership; (d) any products or services made available or purchased through the Site, including any damages or injury arising from any use of such products; (d) any delay or inability to use the Site or any information, products or services advertised in or obtained through the Site; or (e) the modification, removal or deletion of any content submitted or posted on the Site. If you are dissatisfied with the Site or any content or materials on it, your sole exclusive remedy is to discontinue your use of it. You agree to defend, indemnify and hold Samsungctc.com and its stakeholders (owners, employers, investors, users, buyers and partners) harmless from and against any and all claims, damages, costs, actions, losses, liabilities, and expenses including legal expenses and attorney’s fees, arising from or related to your use of the Site and/or your breach of any representation, warranty, or other provision of the Terms & Conditions or your violation of any law or the rights of a third party. Nothing in this Agreement shall be deemed to constitute a partnership or agency in law between you and Samsungctc.com and you shall have no authority to bind Samsungctc.com in any manner. These Terms & Conditions shall be governed by and construed in accordance with the laws of Lebanon. Any dispute, claim or controversy arising out of or in connection with these Terms & Conditions (including a dispute, claim or controversy relating to any non-contractual obligations arising out of or in connection with these Terms & Conditions) shall be referred to the parties’ respective officers for resolution. If any dispute remains unresolved 21 days after being referred to the officers, it shall be finally settled by one arbitrator appointed in accordance with the rules of conciliation and arbitration of the Chamber of Commerce, Industry and Agriculture of Beirut and Mount Lebanon. The seat, or legal place, of arbitration shall be Beirut. The language to be used in the arbitration shall be English. The award shall be final and binding and the parties hereby waive any right they may have to appeal such award. Notwithstanding the foregoing, either party may seek injunctive relief in any court of competent jurisdiction against any matters relating to intellectual property rights. If the product is covered by warranty, it will be mentioned in the description of the item on Samsung CTC and warranty conditions will apply according to the warranty terms and conditions. For further details about issuing a warranty claim, please click here. Samsungctc.com reserves the right to make changes to the Site, policies, and these Terms & Conditions at any time without your prior consent and with immediate effect by posting a notice of the amendment on the Site. If any of these Terms & Conditions shall be deemed invalid, void, or for any reason unenforceable, they shall be deemed severable and shall not affect the validity and enforceability of any of the remaining Terms & Conditions. Samsungctc.com will notify you of any amendment to these Terms and Conditions that materially increases your obligations or decreases your rights in accordance with the terms of these Terms & Conditions. These Terms and Conditions constitute the entire agreement between you and Samsungctc.com with respect to the subject matter hereof.